Disney Vacation Development, Inc., operators of Disney Vacation Club (DVC) – Disney’s innovative vacation ownership program — announced today that it will expand its timeshare resort presence at the WALT DISNEY WORLD® Resort in Florida by building a fourth resort, bringing the total number of DVC resorts to six. This latest development marks a time of exciting growth for the Company, which now boasts a membership of 48,000 member families from over 60 countries. 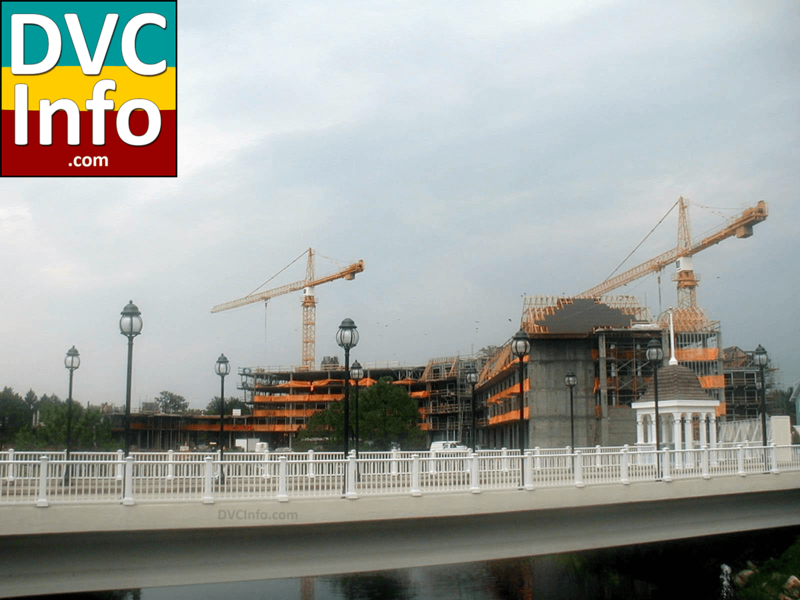 The proposed development – which will be called Disney’s Beach Club Villas – is slated to occupy a 6-acre site next to the Disney’s Beach Club Resort in the Epcot® Theme Park Resorts area within Walt Disney World Resort. Development will begin this June with an estimated completion in the fall of 2002. Like its sister resort, Disney’s Beach Club Villas will be designed by noted architect Robert A.M. Stern, best known for his East Coast seaside houses. The new ownership resort will be inspired by the casual elegance of Cape May oceanfront homes built in the early 20th century, reflecting a light, comfortable ambiance as characterized by the use of whimsical “stick-style” architecture, pastel colors, porches and other decorative elements. Initial plans for Disney’s Beach Club Villas call for the development of a 205-unit, free-standing four & five-story vacation ownership resort consisting of studio, one- and two-bedroom vacation villas adjacent to Disney’s Beach Club Resort. All units will feature either a pool, garden or courtyard view. 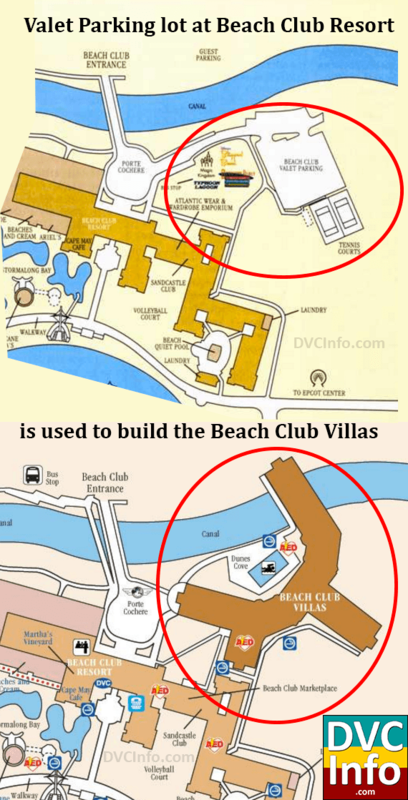 Further development plans call for the construction of connecting walkways and full access to Disney’s Yacht and Beach Club Resorts; the addition of a pool, as well as enhancements to the existing lobby/retail space and other select guest areas within Disney’s Beach Club Resort. As Disney Vacation Club approaches its decade mark in 2001, the Company is celebrating a number of achievements, including the expansion of its resort collection through the addition of Disney’s Beach Club Villas and The Villas at Disney’s Wilderness Lodge (expected opening in January 2001) — subject to government approvals — as well as the strong growth of its member base. The current collection of Disney Vacation Club Resorts includes Disney’s Old Key West Resort and Disney’s BoardWalk Villas — both located at the Walt Disney World Resort — as well as Disney’s first resorts beyond the Disney theme park locations; Disney’s Vero Beach Resort on Florida’s Atlantic Coast and Disney’s Hilton Head Island Resort in South Carolina. 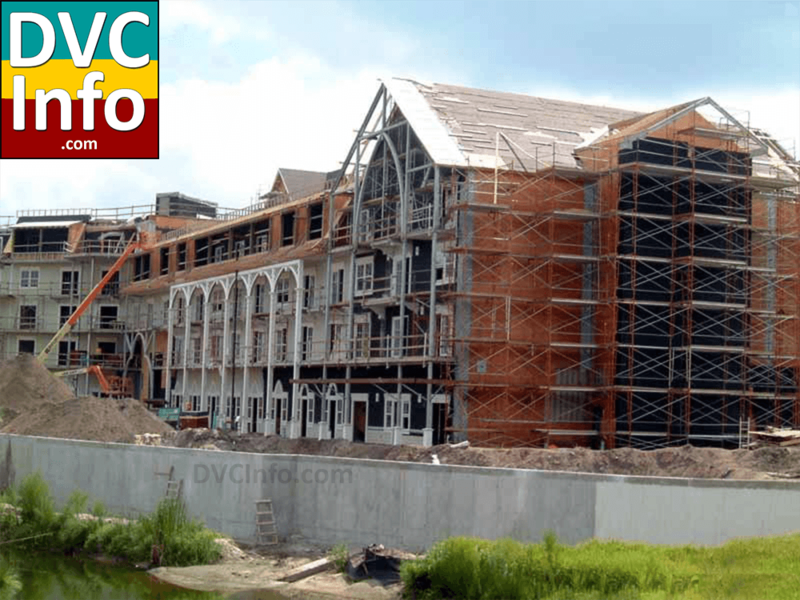 Where did DVC find room at the Beach Club resort for their resort? Furthering its growing time-share business, Walt Disney World will build a fourth Disney Vacation Club, set to open in fall 2002. The 205-unit development, to be called Disney’s Beach Club Villas, will be on 6 acres next to Walt Disney World’s Beach Club Resort. Construction starts next month. Disney World already has two Vacation Club resorts — Old Key West and BoardWalk Villas — and a third, Villas at Wilderness Lodge, set to open next January. Disney also has time-share resorts in Vero Beach and Hilton Head, S.C.
“Business has been really, really good,” said Mariska Elia, spokeswoman for Disney Vacation Club. Disney moved into the time-share business in 1991. In just the past 2 years, its Vacation Club membership has nearly doubled to 48,000 families from more than 60 countries, Elia said. Members pay a one-time fee, ranging from $10,000 to more than $200,000, for an ownership interest in a Vacation Club time-share. Like its sister resort, the five-story Beach Club Villas will be designed by architect Robert A.M. Stern, reflecting the whimsical architecture of oceanfront homes built in the early 20th century in Cape May, N.J.